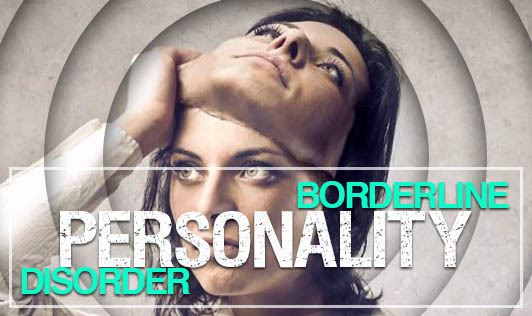 BPD is a pervasive pattern of instability in one's self-image, interpersonal relationships and emotions. This can lead to a variety of other stressful mental and behavioural problems. Being impulsive, experiencing frequent mood swings, and anger may push others away even though he or she may desire to have loving and lasting relationships. The unstable pattern of interacting with others may have persisted for years and is often closely related to the person's self image and early social interactions. This pattern is present in a variety of settings, usually accompanied by a similar liability in a person's emotions and feelings. At one time, he or she may idealise someone and then abruptly and dramatically shift to hate or fury over minor misunderstandings or perceived slights. • Identity disturbance, sudden dramatic shifts in self-image, characterized by shifting goals, vocational aspirations and values. • Unstable and intense interpersonal relationships, altering between extremes of idealization to devaluation. For instance, idealise a potential lover or caregiver at first or second meeting, demand to spend a lot of time together, share intimate details very early in a relationship, then a sudden switch from idealizing that individual to devaluing him or her, feeling as though the other person doesn't care enough, does not give enough and be there enough. An individual must be at least 18 years old before he or she can be diagnosed with it. "If you're aware that you have any of the symptoms mentioned above, don't hesitate to reach out for help from a mental health professional. Proper treatment can help you feel better about yourself and help you live in a more unwavering, rewarding life"